AthenaInvest is the industry leader in Behavioral Portfolio Management (BPM) with a patented behavioral research process built on a deep academic foundation and developed over 35 years of interaction with leading academics and institutional money managers by C. Thomas Howard, PhD, Chief Executive Officer, Chief Investment Officer, Director of Research and Portfolio Manager. 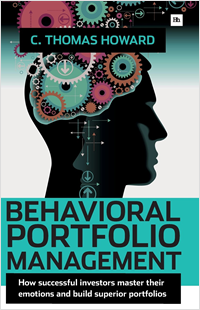 BPM differs from Behavioral Finance, much of which is aimed at advisors and investor psychology. AthenaInvest specializes in a different area, namely how to use behavioral factors to build better portfolios. We systematically look for persistent behavioral factors, with the same discipline and rigor one would expect from any serious investment process, but by analyzing different data. Specifically we look at things like endowment asset allocation behavior, equity manager consistency and conviction and investor preferences for specific investment strategies. By focusing on behavioral factors, AthenaInvest has pioneered a completely new way to view asset allocation, investment selection, and tactical managment. For a compelling in-depth look at how BPM works in practice, please explore the links at the right.